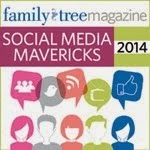 The internet is a powerful tool for many things, especially genealogy and marketing. When you are trying to share your family history with your family members, you can put the power of the genealogy and marketing tools on the internet to work for you. Many families will put up websites about their family history. And most of the genealogy softwares make that really easy for you. You can make the website as simple or as elaborate as you want to. You can post the current genealogy file, family reunion information, a message board for family members to post announcements, a calendar, stories, pictures and anecdotes. We put together http://www.jhattencarpenterfamily.org/ for my great-grandfather's family. Make sure you have taken out the personal information on anyone living, or restrict access so you can control who can see the information. Also make sure it is registered with google and other search sites so that you can be found by other genealogist cousins too. Like all other efforts to interest family members, pictures and stories draw people in more than anything else. A blog is also a great way to talk about your family history. I suppose you know what that is since you are reading this blog. They are really easy to put together using www.blogspot.com or www.wordpress.com. Pictures and stories are great to publish for a blog. The GeneaBloggers group on facebook now has 384 members and I'm sure there are tons more out there with more every day. 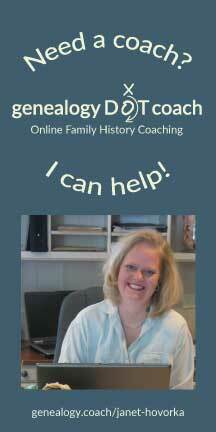 Check out www.geneabloggers.com for the Geneablogging Primer, information on the Genealogy Carnivals, the weekly genealogy blogging prompt, scanfest and data backup day as well as other great information. Any internet marketer will tell you that although websites and blogs are great, they are harder to market because the user has to remember to go visit them. And in today's busy world that doesn't happen as much. So it is better to supplement that with some "push" marketing--something that will show up in the parts of the internet that they constantly use. For example, I may not go out and visit a website very often--even one that is important to me, but I always check my email. Therefore, if you send me an email newsletter, you are going to get more of my attention than if you tell me to visit your website. Thus--if you are "marketing" your family's history it is good to use some push parts of the internet. Email newsletters can be great for sharing your family history. You can create a group in your email client and easily send out emails that way. Use a good descriptive subject line so that they can know what is inside before they open it. And make them interesting with good stories so your readers will always want to hear what you have to say. If you want to get fancy, a newsletter service like Constant Contact will help you create emails with beautiful templates and allow you to track who is reading your emails. Other push ideas include social networking sites--especially for the 20's set. Facebook, and sometimes Twitter are as important to check as email for alot of the younger people I know. But Facebook is crossing generations quickly. My Mom signed up this week. For someone who looks at Facebook frequently, there are many ways to talk about your family history. Statuses, Picture albums, posted notes and links and etc all come up on a person's news feed and will be seen by anyone who checks their Facebook. Other social networking sites such as MySpace or SecondLife, LinkedIn, pulse.com, brightkite.com, tagged.com, wayn.com or any of the other networking sites out there can be used too. Pick the one that your family is most involved in. Getting your family history out on the internet has two great benefits. 1) your family will see more of it. and 2) you may find other people interested in and researching the same ancestral lines. So get it out there--any which way. Let me know if you have other good ideas. How to share your family history with your family--a reader's idea. We did a very short skit years ago patterned after the popular TV program at the time, "Unsolved Mysteries". We called it "Unsolved Family History". I have an ancestor who came to Utah in the 1850's from Wales, who moved from Utah to Canada in 1899 to escape being imprisoned again for polygamy. He would travel between Canada and Utah through the years until in 1906 he was killed in Warm Springs, Deer Lodge, Montana, which is where one of the mysteries lay. There had been 2 stories: 1 - He was killed by Federal Marshalls, and 2 - He was hit by a train. I had my children draw pictures of the story which we used as visual aids during the "performance." My husband's great grandfather had been a sherrif in the area at the time and we brought in the Federal Marshall possibillity using characters from my ancestry and my husband's ancestry, which made it really fun for everyone to imagine the possibility of the 2 families knowing each other way back then. My oldest daughter, who was about 10 at the time, narrated. At the end she made the same kind of request they made on the TV show about , if anyone has information on this person please call such-and-such number. It really went over quite well. BTW - we found out later this particular ancestor was hit by a train, when my grandfather's short history surfaced.